We have a great deal to make savings at Giant. Panera At Home Soups are priced at $2.67 each. 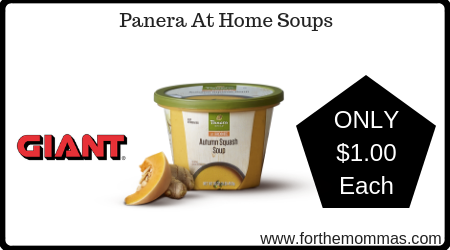 Plus we have a Panera At Home Soup coupon insert to use on this deal that will further reduce the price. Stack it with a Savingstar rebate that will make the final price just $1.00 each!